Cook Play Explore: Lunch Box Pumpkins, plus Giveaway Closing! Lunch Box Pumpkins, plus Giveaway Closing! 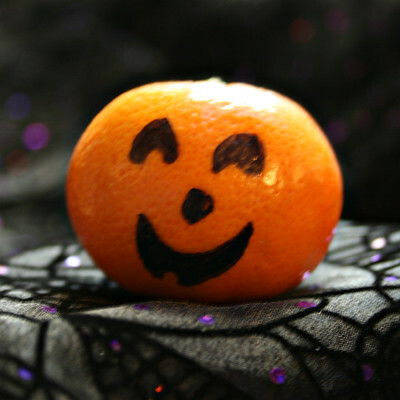 Planning a Halloween party menu, I was looking at friend's setting of Halloween snacks with a clementine "pumpkin" on the side. I got out my Sharpie, and in seconds turned two clementines into jack o'lanterns, just the right size to tuck into the day's lunch boxes. If you aren't afraid to arm children with permanent marker, a bowl of clementines and some Sharpies could make for an easy party activity. For more fun Halloween ideas, take a look at our collection of treats, Spook Play Explore, available as a free download. Today's your last chance to enter to win a $25 Amazon gift card! Leave a comment on our anniversary post from last week before midnight PST for your chance.